Image: Jan van de Velde II. Young witch. Engraving. 1626. The workload for the PhD-as-magickal-working is pretty intense, but by this point so, surprisingly, are my reading skills. Without realising when this started, I’m finally able to get through a text pretty efficiently, which may help me keep up with the two or three books a week we’ll be assigned this semester. Of course, all the readings are fascinating and all relatable to a future dissertation, damn them. Every human here is fascinating and relatable to a future dissertation committee (or a coffee date). Even after just this first week, everything seems to blur into the broad range of research interests I mumbled out during each class introduction; it’s all a potential dissertation, maybe life is a potential dissertation. When I begin to compare literary utopias to poems to elegies (all poems as elegies, all poems as ars poetica) I remind myself to take a break and tend to the basics of making foodstuffs, showering, washing dishes. After living with my partner in Norway for the last year, there is more to adjust to than reading schedules and academia—there’s the business of driving a car, switching my phone to American service, waking up to check on every strange noise in this strange house. There’s buying shampoo. The grocery stores in Norway have, at most, four brands of hair products. The specialty stores might have several shelves. But there are entire aisles of this stuff in the US. I stand in the aisles, paralyzed, long enough to consider lying down fetal right there in the store. I still don’t have any idea what I bought. Maybe everything is a dissertation. Maybe a dissertation is an elegy. Maybe this is an elegy. My concerns were pretty simple when I moved to Norway. Food—where, where can I buy corn? And having accomplished that, where can I buy good corn?? 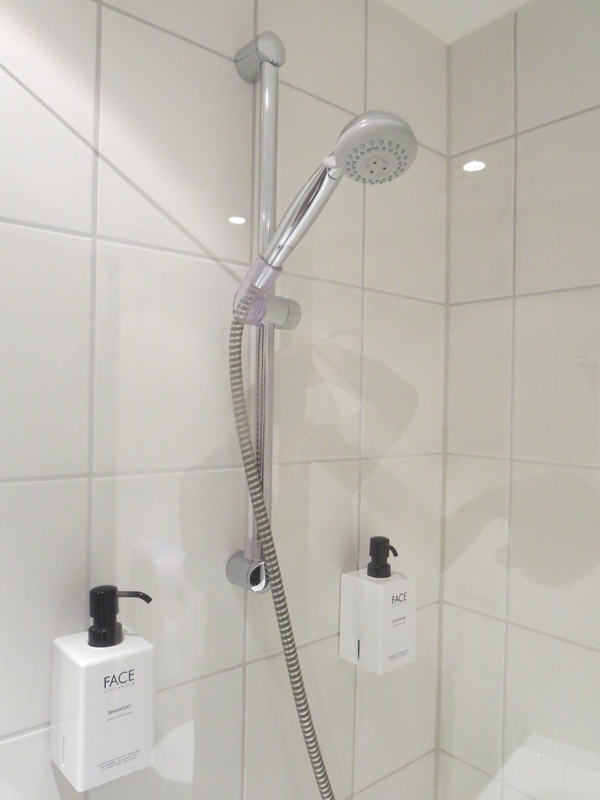 Household appliances—why hasn’t the US adopted the Norwegian shower setup, with its adjustable height and simple temperature setting? People—how do adults make friends on any continent, really? My concerns are similar, here. Food (specifically learning the locations of the nearest Panda Express, Starbucks, Texas Roadhouse, Trader Joe’s, and having good corn in my fridge). Appliances (quickoven: a microwave combined with an oven which sounds like it’s always breaking). People who might sit in those empty chairs. And mostly my adjustment is softened by my earlier experiences of these spacial shifts, and by the creative and psychological transformations I’ve seen happen within them. Moving to Norway was a leap off the cliff. So was my MFA at Michigan. These were anxious, sometimes lonely times, but also times of exploration and excitement and discovery. They were kiln-moments, where my doughy clay hardened into something like lacquer. These are the ingredients. I applied to the PhD because I knew I wanted to work in one of these spaces again. I wanted to write a dissertation, I wanted to work on criticism and non-page-poetry and be around an academic community (foreverrrr) and have access to a library. I knew I’d be applying for this degree almost as soon as my masters had started. And I ended up at a wonderful place—University of Wisconsin Milwaukee—with a strong Native community in the faculty and the city, where my work will really have its best resources and supports, and I’ll get to develop my scholarship in a department which understands so much of what I’m interested in. It’s a great community, full of people who go to bat for each other (I’ve already gotten to read at the Indian Summer Festival, my first week in Milwaukee, thanks to the wonderful faculty and Woodland Pattern Book Center). I call this fortune. But again—so so so much reading. A utopia represents the dream of better. But it’s always on the horizon, never quite achieved, always the not yet. A utopia can be a space of resistance. A poem can be a utopia. The ingredients are already fruitful. If the length of my chatter with Andreas is any indication; my cauldron bubbleth over. In my classes we’re discussing the tools for shaping our own rituals, and the city itself has begun to worm into my notebook. I will put it all in the incantation, find that repetition and routine, solidify my practice. Perhaps these programs are simply a witch’s workroom, and all the resources the cloudy jars on shelves, ear of newt, tail of frog. We’re determining the mixture, and the way our arms move as we pour in the next vial. And so really, that’s where the magic comes from, not the place, but what is put into the ritual. Maybe this is an elegy. Maybe I am a dissertation. Kenzie Allen is a first-year PhD in English (Poetry) at the University of Wisconsin--Milwaukee, and she is a descendant of the Oneida Nation of Wisconsin. Her work can be found in The Iowa Review, Indiana Review, Apogee, Drunken Boat, and other venues, and she is the managing editor of the Anthropoid collective.